Bundle of 1m3 for 1m long logs or half a cubic meter with 0.50m long logs. 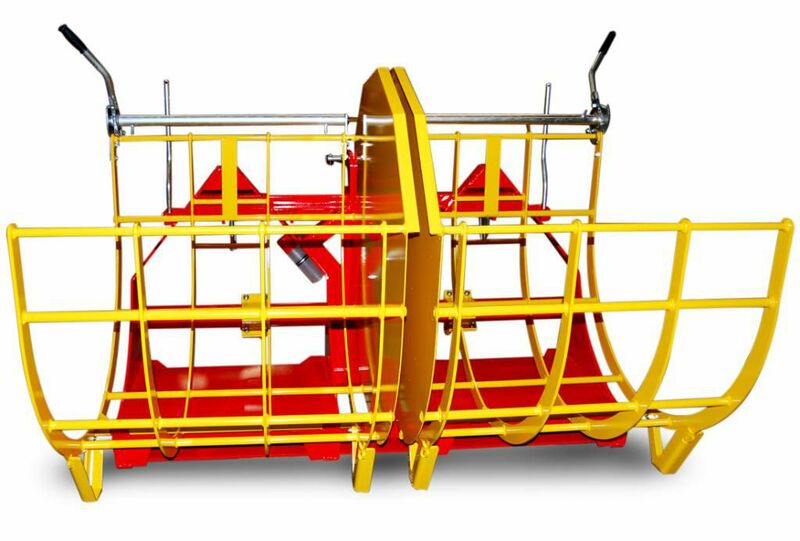 Mechanical tipping of the bundle with a simple handle controlled form the driver's cab. Machine-welded frame with stop-end for a perfect lining-up of the logs. Excellent stability on wet grounds thanks to 4 large support stands. 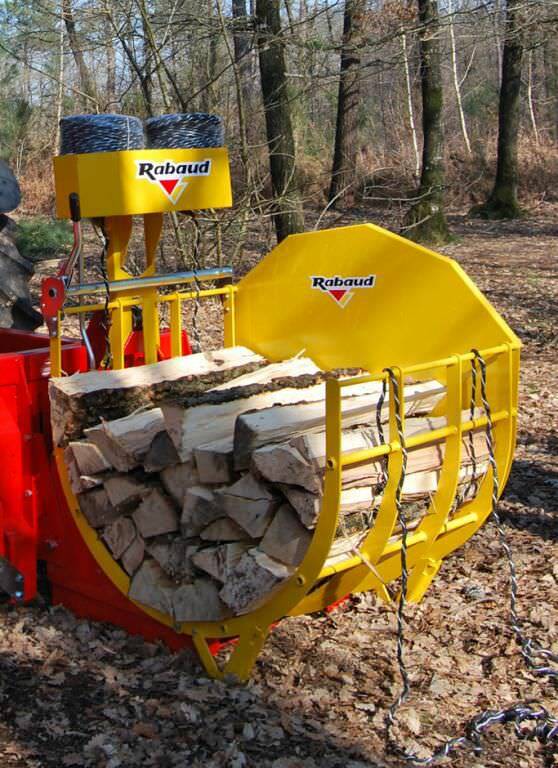 Bundling machine can be fitted on a RABAUD (FARMER II or GROUP II) log splitter platform allowing to transfer in the same time the log splitter and the bundling machine. In option: support 2 string coils.